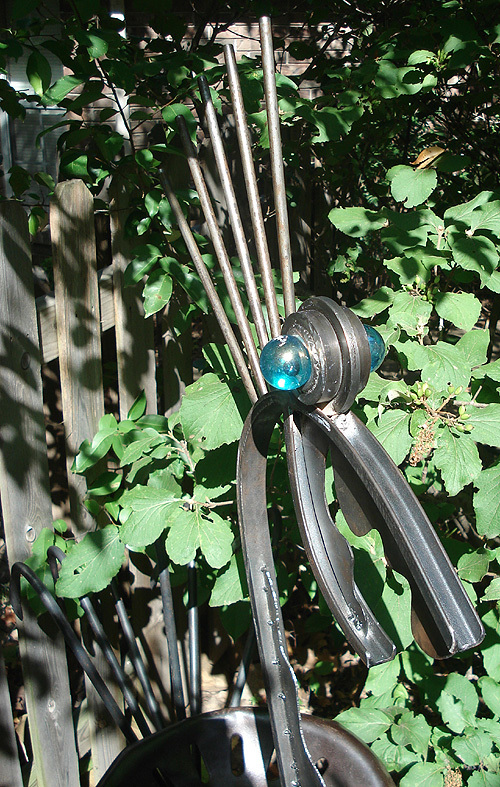 This past weekend was time to hand-off the sculptures I have been working on. Sometimes it is bittersweet to pass on a piece that has been part of the studio, even if only for a few days. 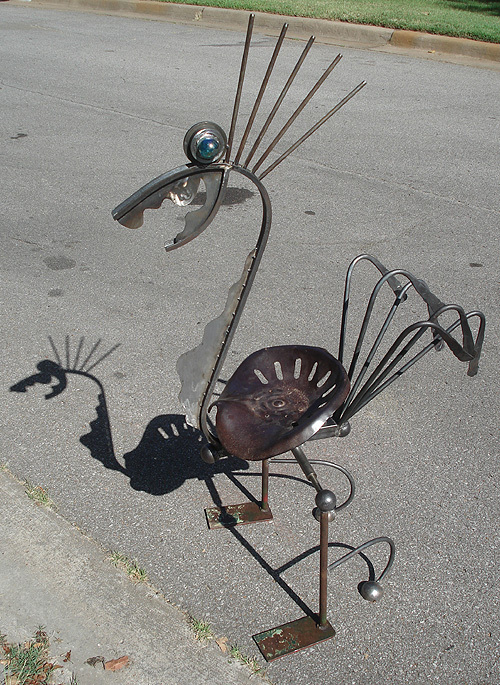 The first few photos are of a garden bird designed around a vintage tractor seat. 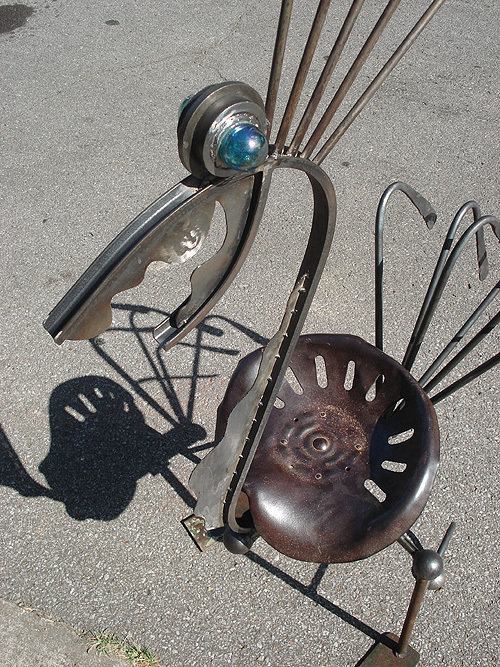 The bird is made from a mix of cast-off and reused steel. The tail feathers are hand-forged, pounded flat with the texture of the hammer for detail. Large blue glass eyes add some color. The creature stands more than four feet tall. 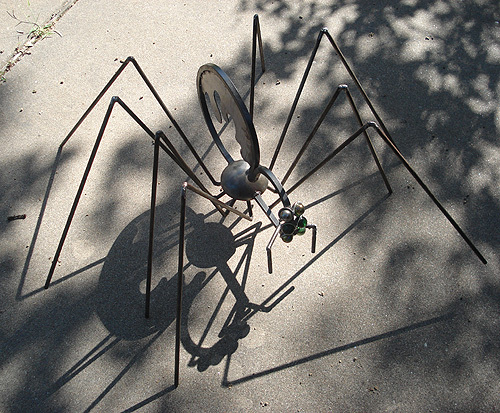 I also finished the large spider sculpture. It is now at its new home, with six green glass eyes keeping a watch on things. And finally, here is the top of a finished bottle tree flower. 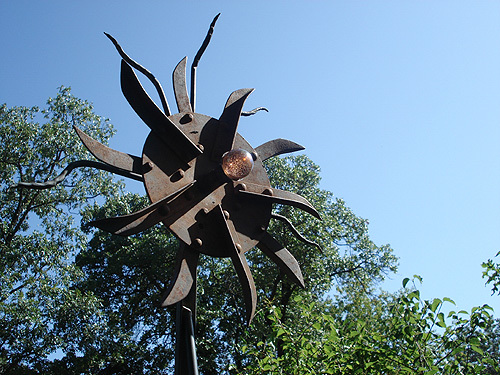 This is made from an old farm plow-thingy, several hand-forged tendrils and a glass center. The flower head spins. All of this is attached to a six-foot tall flower stem that holds 24 colorful bottles.